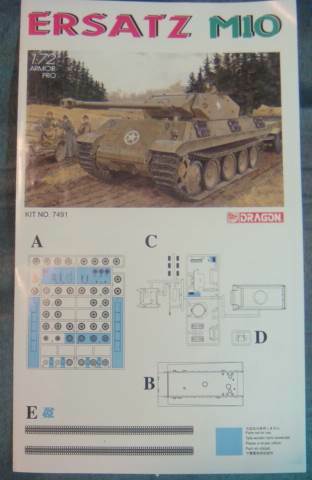 This is a "Much Anticipated" kit. Many of us out there have been waiting with baited breath for this one. 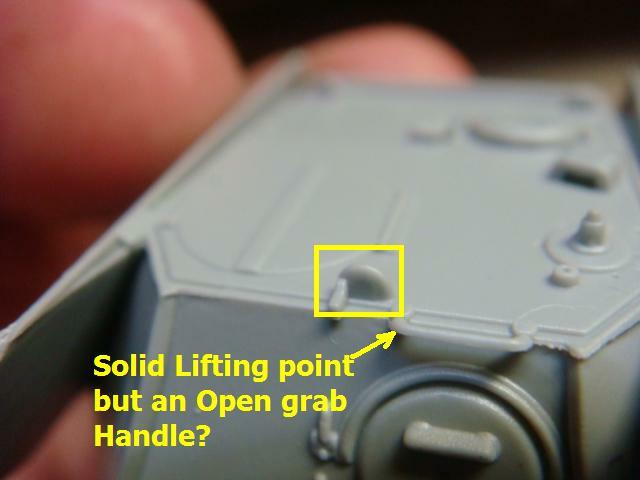 Before I get into the pros and cons, I'll cover what comes in the box. 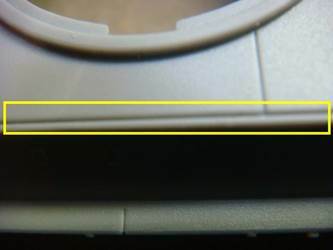 The Box Art shows a very nicely detailed picture of what the model should look like. I feel this is them just "transfering" the art from the 1/35 scale kit to the 1/72 box. 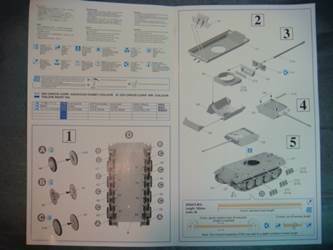 Here are the Instructions, the fact that aren't even two full pages, should give you a clue as to how "simplified" this kit is. 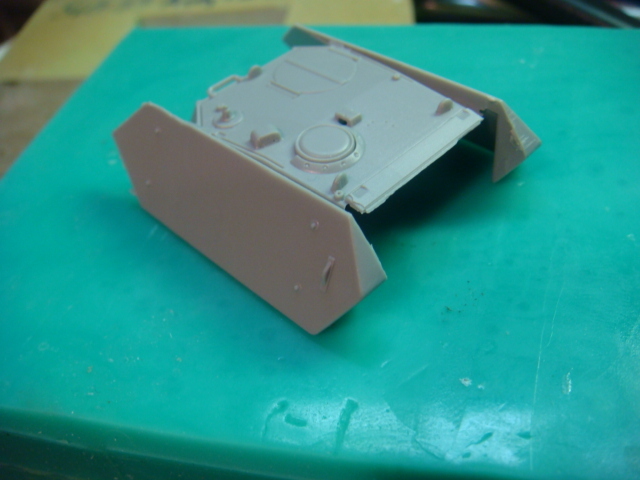 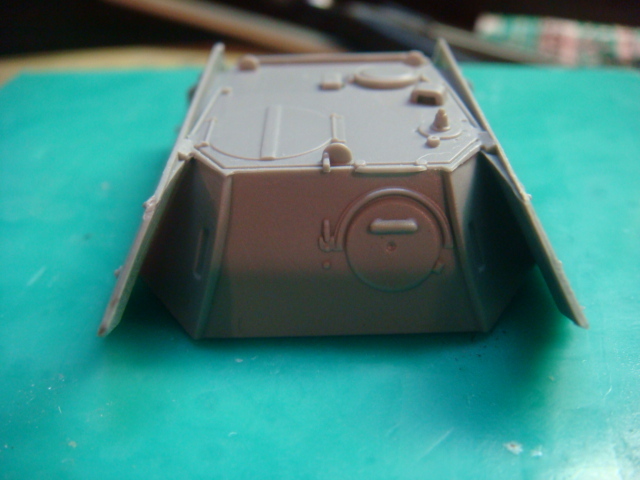 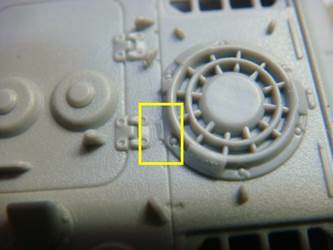 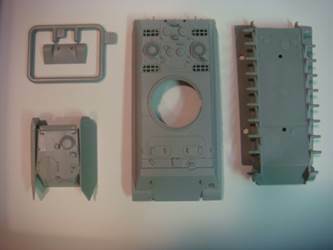 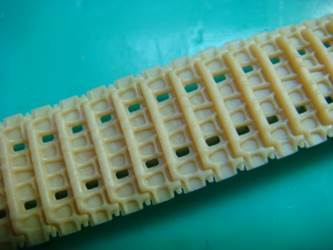 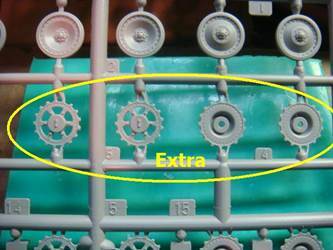 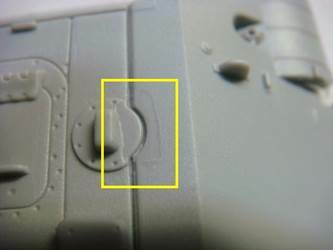 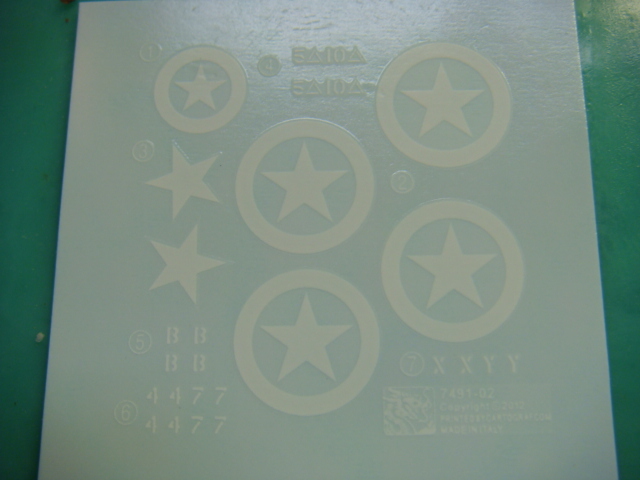 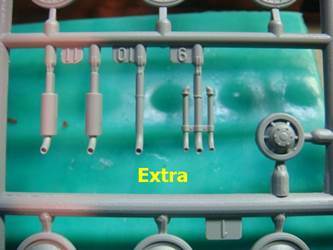 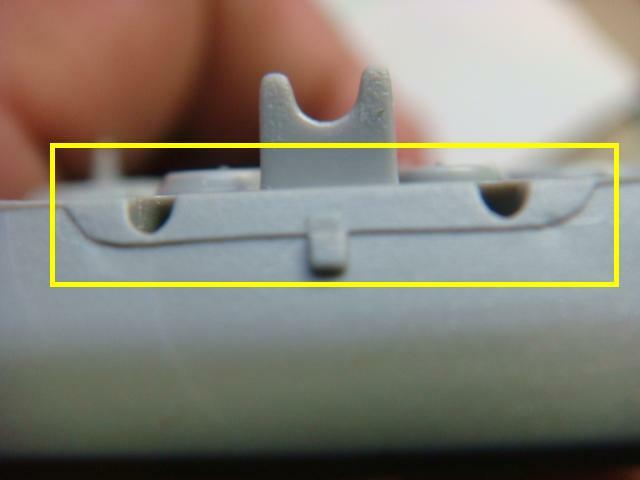 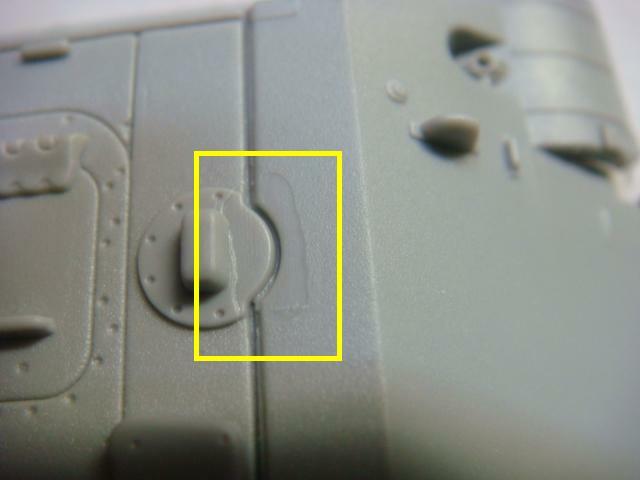 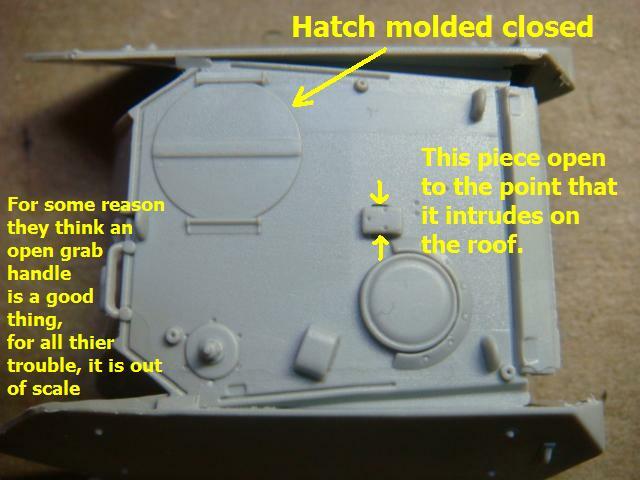 This sprue, I believe, shows parts that are common from one Panther kit to another. 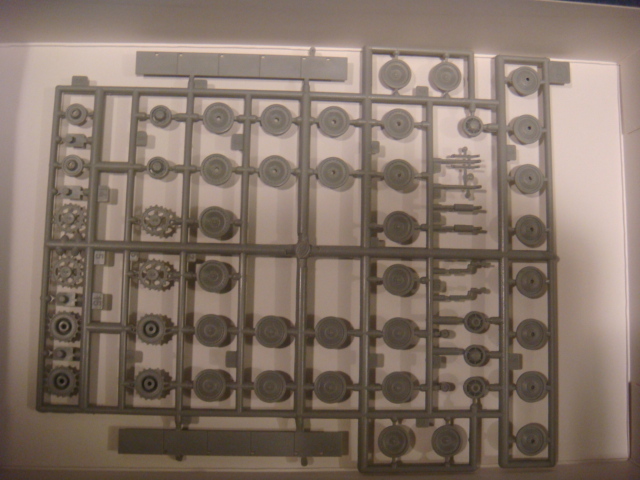 So this leaves you (the builder) with a few "extra" parts. 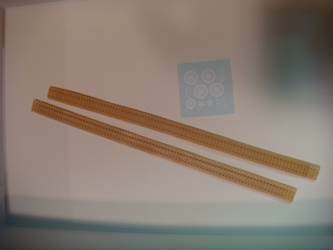 These are the extra parts. 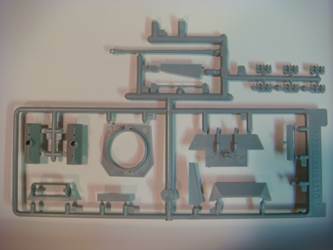 This sprue shows some of the more "specific" parts for this kit. 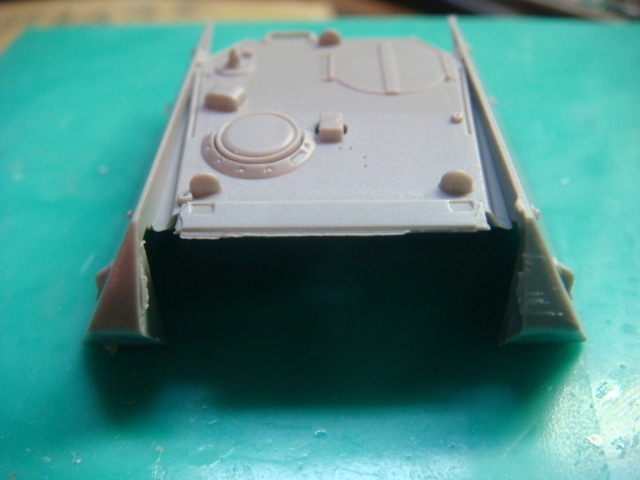 These parts have most to do with the turret, and a rear plate with the exhaust pipes molded on. 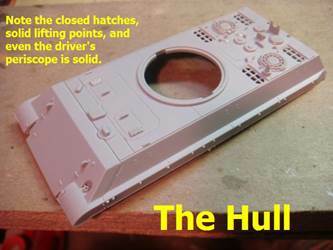 These parts are the remainder, which include the upper hull, lower hull, upper turret, and the lower front. What's left are the tracks and the decals. 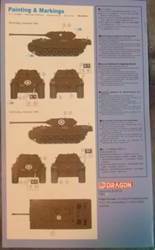 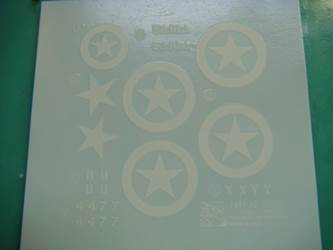 The decals are typically American (Allied) markings. 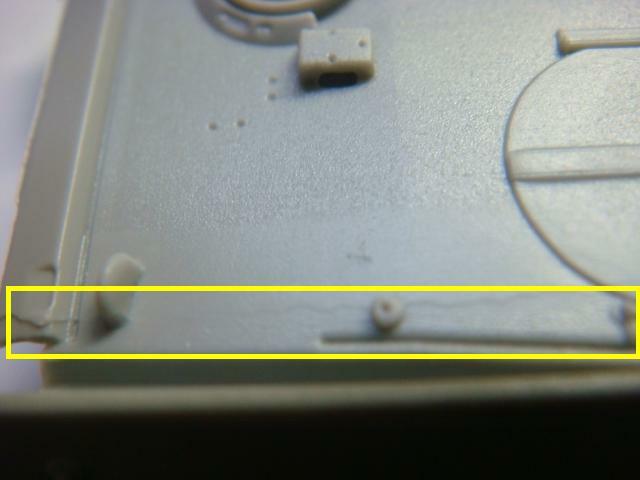 The tracks ar very nicely detailed. 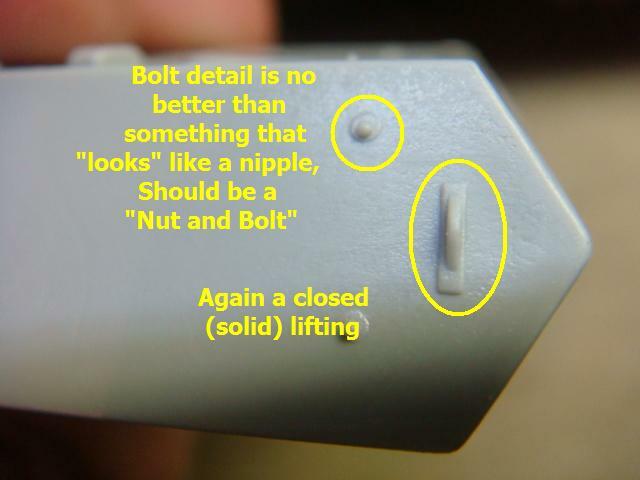 They even tried to replicated the "ice cleats" on the face of each track shoe; however that bit of detail is very soft. 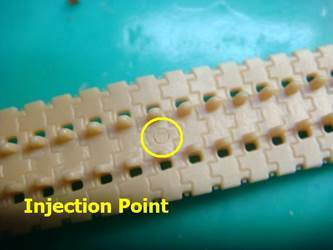 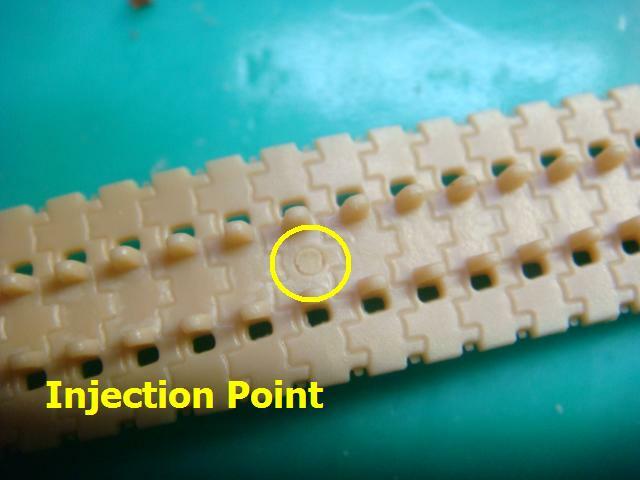 Having learned from the problems of injecting the material from the sides, they now inject from the center of the inner side of the track, where it will be hidden by the Road Wheels. 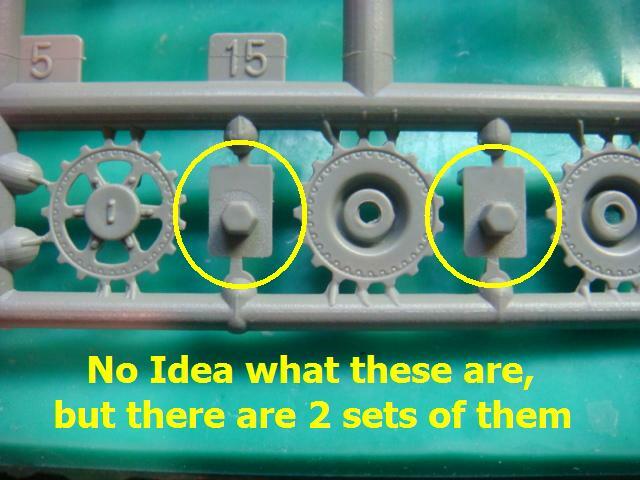 Now let's get down to the nitty gritty of this kit. Here is the upper hull. There are problems that I have identified with the kit. 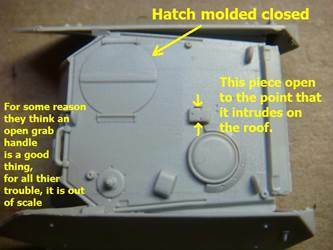 These amount to solid lifting points and the fact that the commander's hatch is molded closed. Here on the hull there is no weld bead, just a channel where the weld bead should be. The following trouble spots are more akin to an engineering problem. 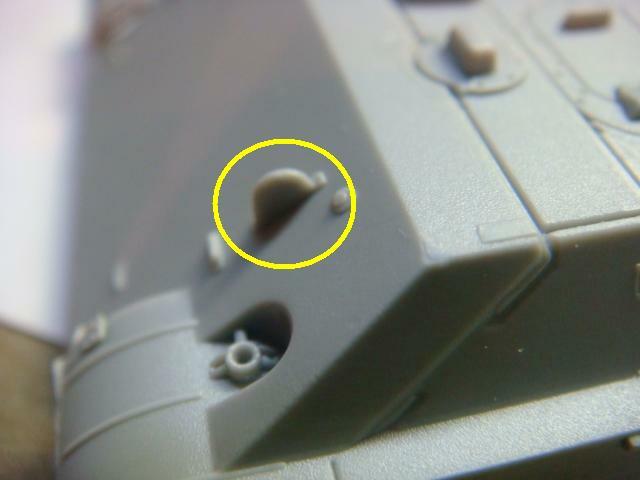 Something has either cut too deeply, or Dragon has used these molds beyond their production life making the "pre-builds". 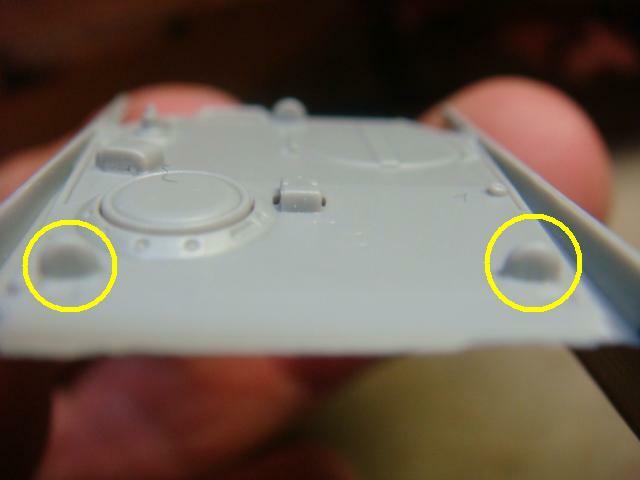 While to the naked eye they aren't much, once the model is painted and weathered, they will sick out like a sore thumb. Now this spot..... I have no idea what this is supposed to be, but none of the reference photos I looked at show this. 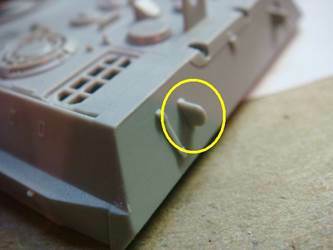 Now one last thing..... 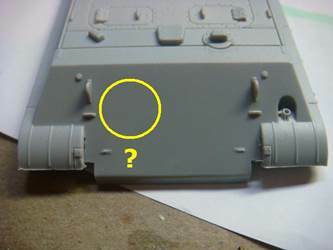 Isn't there supposed to be a flap (or something) for the bow MG to fire through? 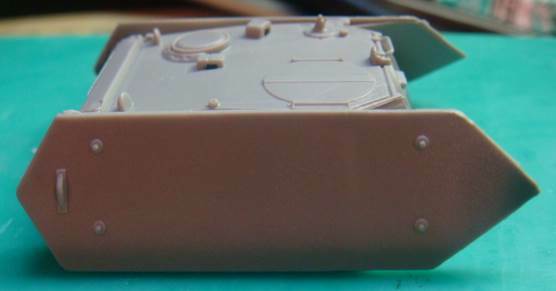 Now I know this review is supposed to be objective, and I really tried, but I feel that this kit cannot be called an "Armor Pro Series" kit. 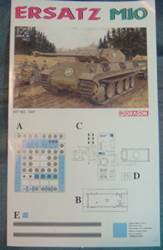 We all voiced the opinion that they scaled down their 1/35 kit to do this one or that one. 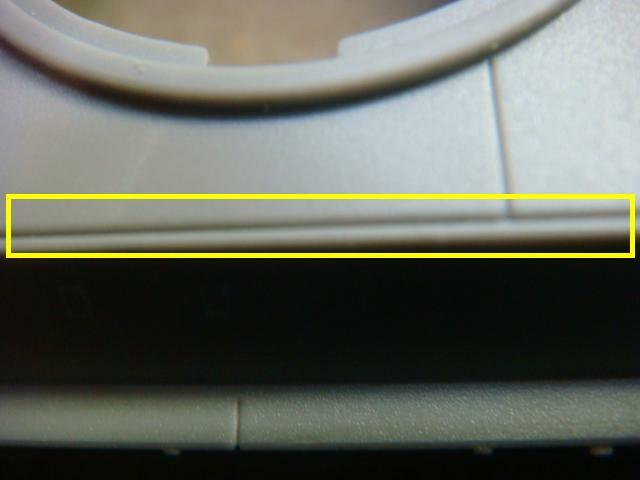 That is NOT the case here. All in all......if you want a model that "looks" like an Ersatz M10, you will not be disapointed. 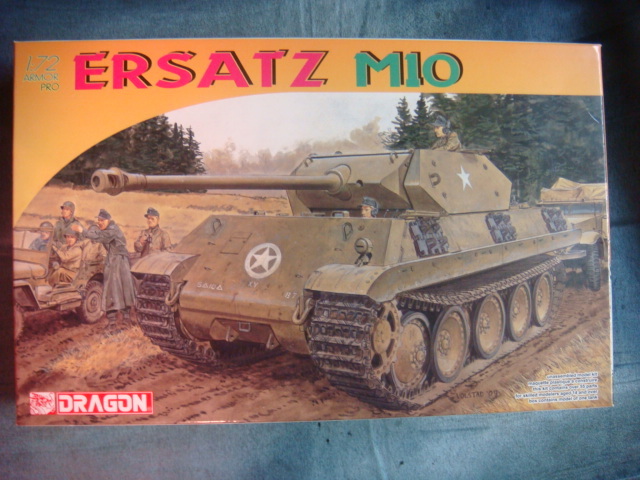 But if you want a model that actually represents the Ersatz M10, you have your work cut out for you.